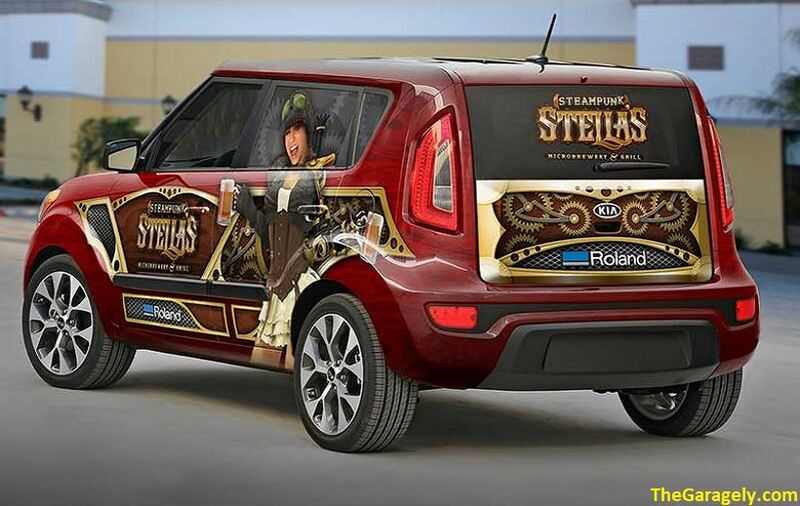 Car vinyl wraps are becoming more popular with enthusiasts. They protect a vehicle’s paint coat and make it appealing to the eye. They come in a variety of styles and colors and can be inexpensive if setting your project wisely. Today’s vinyl not only pertains to automobiles, however. They can be used on many accessories from cell phones to refrigerator doors. Vinyl car wraps apply a thin layer of material that produces a removable coating that results in a protective lifelike design mirroring a paint job. 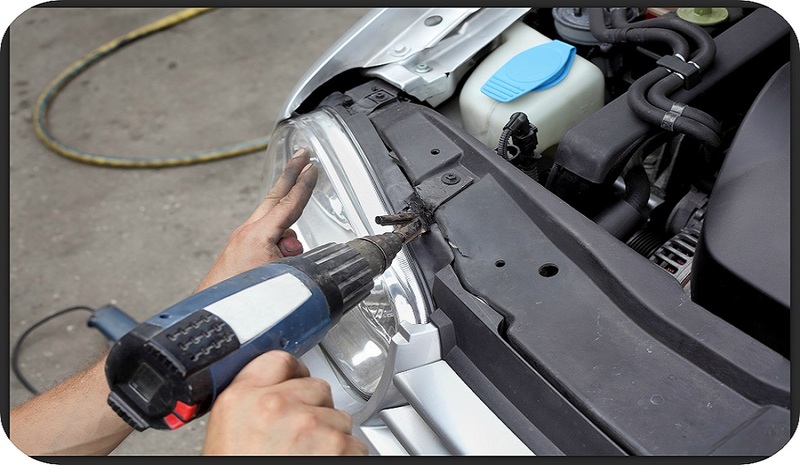 This sealed coat will protect a vehicle for 3-5 years before fading or cracking. It is simply installed with a sealant and then air bubbles are pushed out. Many car vinyl wraps are easy enough for any beginner to create a professional look. These vinyl wraps are much cheaper than paint and provide extra protection. Let’s explore these 5 best car vinyl wraps in this review. The Matte Purple Car Wrap Roll comes in a 20 ft x 5 ft roll. As a full body wrap, it comes with all your vehicle needs minus the roof. A roof is usually extra. This 3-mil film can be installed as a dry installation but options to use a primer and sealer enhance the effects of this. This Vinyl wrap is expected to last well into 6 years and will bring a texture that is vibrant in colors to the product you apply it to. It is a perfect beginner’s project film for cars, motorcycles, boats, airplanes, or even interior/exterior applications. It also serves as a more economical alternative to paint. The best feature of the WiViD Vinyl matte collection is that it comes with built-in WiVID Air Release, WiVID Resist, and WiVID Heat Fuse technologies. With the help of these features, defects such as discoloration or cracking or kept to a minimum. In addition, the unique surface allows for much easier cleaning, maintaining, and installation. Sign Factory’s galaxy wrap is a cosmic spiritual awakening on the eyes. The dimensions are 62″ x 52″ making it a great fit for most vehicle hoods. The waterproof seal will provide protection for at least 7 years. Also, able to pass through car washes, the Galaxy vinyl car wrap is an easily maintained accessory. The psychedelic patterns make it stand out and present a chilling space effect. When installing the H118 Vinyl, it is important to note the size of the hood you wish to wrap. While measuring this information, also take time to make sure hood is completely clean. It is recommended to use alcohol because the surface needs to be dry for proper installation. It is highly recommended that 2 people perform the steps together, but local sign shops do offer professional installation as well. Most importantly when installing the H118 vinyl wrap, remember to squeeze out bubbles with flat surfaces such as credit card or license. Should large bubbles appear they can be easily popped with a pin. Installation is not recommended for beginners, but videos are available for those who wish to try. A stunning high definition texture, this vinyl wrap designed for tailgates measures 65.75″ x 25″, making it a universal fit. It is laminated for protection and has a 7-year life span with good care. Further qualities are the thickness that allows it to be easily removed and adjusted for a better fit. It’s always recommended to check the size of your vehicle prior to ordering. There is no maintenance to the T40, and it is easy to install for the benefit of the beginner. It is imperative that this product is applied dry during installation. This allows the air to release technology to work correctly. This technology is key to quality graphics. The tiny air chambers in the backing allow bubbles to disappear in the hands of a skilled installer. Neglecting to remove the bubbles could result in the vinyl wrap to break down in quality. The T40 offers a great quality product for someone that appreciates a quality vinyl wrap. With the proper installation, this car wrap offers revolutionary technology in a high definition visual. Just like the other vinyl product by WiViD, this vinyl car wrap also comes in 3 mil thickness. Another great feature is the Black Carbon Fiber. It is offered in a variety of custom sizes to meet most projects. The low-tack acrylic adhesive allows a do it yourself the ability to simply lay the vinyl on the surface. The next step is to just position and heat while applying pressure to activate the glue. The black carbon fiber allows all this to be performed with no wrinkles or air bubbles. Professionals and beginners alike will appreciate the overall value the XPO offers. With a paint protective vinyl film that supports a 7-year life span, it also produces a professional quality finish. As with most WiViD products, the XPO Black Carbon Fiber is equipped with technology that prevents cracking and adheres with a premium sealer and glue that won’t ruin the texture. The XPO Black carbon fiber vinyl car wrap is designed for indoor and outdoor use. WiVid Air Release, Resist, and Heat Fuse work to prevent not only the paint for your vehicle but protects the film against any weather. It is perfect for contouring lines and getting around aggravating bumpers. Any beginner looking to start with the best vinyl car wrap should begin with this one. The striking color of the ATMOMO Chameleon vinyl car wrap is supported with Auto Carbon Fiber. A multipurpose vinyl film, this wrap protects more than just automobiles. It also protects your favorite accessories. The water resistance will also add in protecting against damage to electronics, metal, or other surfaces as needed. Installation can be as simple as 3 easy steps. Simply place heat, then trim. The material is thick measuring 3mm and the gradient effect is supreme. Like the Matte, the ATMOMO is a passionate purple and comes with custom size rolls to complete any size project. It is very easy to stretch and can be molded to any curves. Most impressively the Chameleon vinyl wrap is UV protected and can protect your vehicle for up to 6 years in exclusive outdoor use. On garage kept automobiles, the ATMOMO Chameleon wrap’ auto carbon fiber technology can protect for up to 9 years. This is much higher than its competitors. It is important to note that each of these products has different sizes. When choosing your best car vinyl wrap, note the wrap description. The most common option is known as a full wrap and will cover the entire vehicle except for the roof. Next would be a three-quarters partial wrap. With this option, you can normally wrap the rear and hood with some of the sides as well. Anything less than a full wrap is considered a partial. The smallest option would be half-partial. This is the same as the former mentioned but covers a little less still. Can the Vinyl Be Removed? All the products listed are replaceable. The glue used to activate the adhesion is heat activated and can be reactivated. The process is short and doesn’t decrease the value of your vehicle. Through pressure sensitive applications, it will not fade or crack for years and won’t come off unless you decide to complete the removal process. How Much Does Vinyl Car Wrapping Cost? Depending on the products listed, your overall costs will not be far off. Razor blades, alcohol, and an industrial surface cleaner may also be needed on some projects. Most car vinyl wraps come with the appropriate materials needed, however, the film can usually be applied to a variety of surfaces. As such, measuring the surface area is always important to ensure that you purchase the needed amount. Why Should You Wrap Instead of Painting? The process to apply the vinyl car wraps are amazingly simple. For those that find it still difficult, there are many video tutorials online to assist in learning. The costs are considerably lower than painting and avoid decreasing the value. Over time replacements may be needed, still at a 5 to 9-year life span, many of these wraps last longer than some vehicles. How Long Will I Spend Installing a Vinyl Wrap? 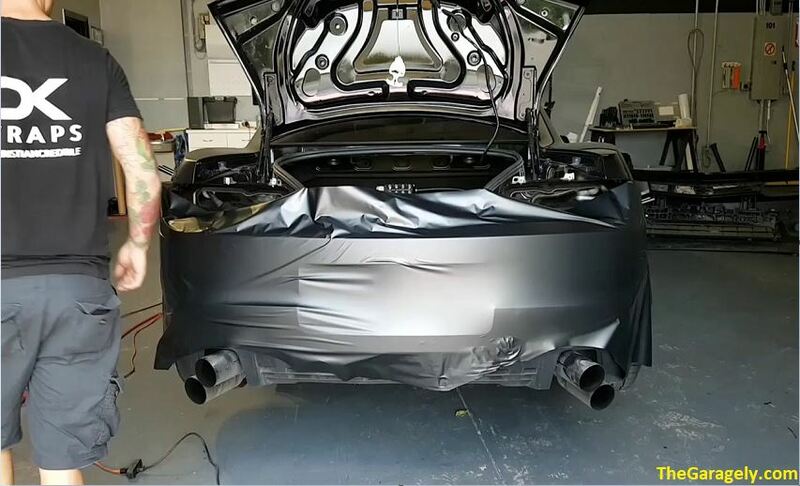 Typically, the process to complete the wrap installation is very quick. The products on this list are dry install, meaning that it is simply placed into spot. Readjustments are simple and can be easily trimmed to fit using a razor blade. Adhesion is completed simply applying heat. Heat guns are recommended for this step, but quality hair dryers can provide equal results. Overall your estimated time will depend on the professional look you wish to install and the time you wish to spend making it perfect. Are All Vinyl Wraps the Same? Contrary to some belief, there are more than one film available. Products such as the ATMOMO and the WIVID Matter are considered Cast vinyl. 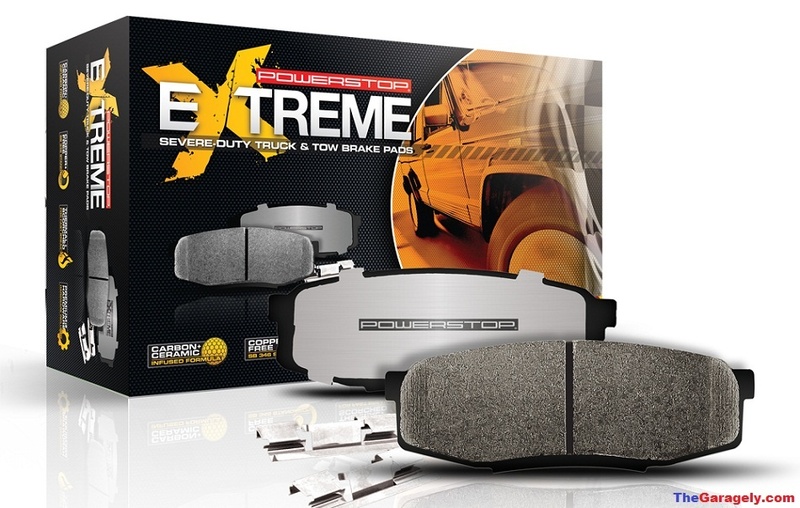 They form perfectly to curves and are ideal for the front and rear end of vehicles. They are also great for applying to bumpers. Products like the T40 American Flag are considered Calendared Vinyl. These films are thicker and don’t conform as easy. They are specifically used in creating decals and lettering. Can I Use Vinyl Wraps on Damaged Vehicles? All these products provide a film that can be easily stretched and will conform to the vehicle if the air can be removed, and bubbles popped. Unfortunately, as it confirms it will just apply itself to the damage and cover but not conceal it. It is recommended to fix any damage such as scratches, dents, or rust to the vehicle prior to installing vinyl wraps. Once installed, regular cleaning and waxing will also help preserve the appearance. All the products on this list can be cleaned in a brush-less car wash or hand wash.
Our Choice for the Best Car Vinyl Wrap. Now that we have learned some of the great things these products offer, we can choose a top car vinyl wrap. The ATMOMO is going to be the winner of this article. The design alone is worth taking an extra look at. With that said, the qualities that really sold us were the easy installation and the multiple surface options. The Chameleon package is going to be an amazing competitor for other products trying to imitate the quality. The issues with melting and stretching can be easily avoided with careful attention and the 9-year life span makes the cost-effectiveness a no brainer. Now get out there and find the best vinyl car wrap for your needs. Since you are visiting this site, it is obvious that you are looking to figure out which is the best electrical wire that you can use in your house, building, or any other project that you need electrical wire for. This journey begins with questions–how many types of electrical wire are there? Which type would be best suited for my project’s needs? Are certain brands better than others, even though they are the same type of wire? Never compromise on the quality of electric cables for house wiring. When selecting the best electrical cables and wires, carefully select the best quality of cable available. The damage which can be caused as a result of using low-grade cabling can be devastating. Quality cables feature a high tensile strength and perfect resistance to high temperatures. Choosing the correct kind of wire is the first step to completing your project with any degree of success. You want to choose wire that is a good conductor of electricity, and one that won’t short out or continually need to be replaced–which, depending on your usage could mean that you need copper or aluminum wires (used in homes and power cables) or silver (particularly sensitive to heat, so used in light switches and sensitive scientific instruments). Luckily, one does not have to be an expert themselves amongst the different varieties and brands of wires–they just have to read this blog post. Below are our personal reviews of some of the most prominent electrical wire being used in households and other places today. This Romex cable is contained in the patented SIMpull Cable Jacket which makes for easier pulling, stripping, and installation. This is a very high-quality copper (anti-corrosive) cable which is made in America. It is ideal for use in residential wiring projects, in particular, branch circuits for outlets and switches. 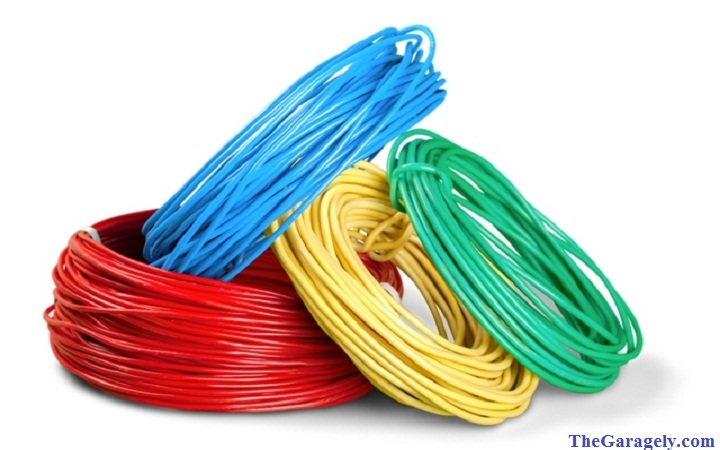 In residential applications it is not suitable for using above 40 amps, if you want to achieve more than 40 amps, you should purchase 6 gauge wire. The Romex cable is a round cable with four conductors (white, black, red and bare ground), it is 8 gauge and comes in 50′ coils. The cable is not suitable for outdoor use unless you contain it in some conduits But it can be contained within cavity walls. It. Is not waterproof, but is splash-proof, so offers some protection. We used this cable to connect my service box to an RV outlet so I could charge my electric vehicle. It worked perfectly, though I did put it in a conduit to run it under paving slabs outside. We gave this cable to an electrician to set up an electric cooker and he didn’t complain. The main negative with this cable is the price, which varies considerably according to the latest price of copper. The cable is 10 gauge, with four conductors (white, black, red and bare ground) and is 50′ per coil. It is a high-quality cable made in America, with a voltage rating for this cable is 600 volts. Given the high quality of this cable, it is very good value. The cable is suited to most wiring projects around the home, stores, and shops and can be used for exposed and concealed work. It is suitable for running in masonry voids or tile walls, as long as the walls are not wet or damp. This is a set of 10 rolls of 14 Ga primary cables in 100 ft spool. These cables are insulated and encased in different colored flexible jackets, which is useful for working on various projects. The Cables are Copper Clad Aluminum (CCA). CCA wires do not follow the American Wire Guage standard, so these cables are not suitable for the high current application. The wire is not anti-corrosive either, so the cables won’t last as long as some others on the market. These cables are best suited to low current projects, such as installing 12v DC car radio speakers or a home theatre system. The cables are very inexpensive, however, they have very thin wire and it tends to be brittle and difficult to work with and almost impossible to crimp. Nevertheless, their low price makes them a good buy for projects where they won’t be subject to weather exposure or high current usage. 16 GA Primary Wire is another best electrical cable brand in the industry. This pack of cables contains ten different colored rolls of 14GA cables in 100ft spools. The wires are single conductor copper clad aluminum which is insulated and in flexible PVC jackets. It is important to be aware that Copper Clad Aluminum (CCA) wires are not recognized by the American Wire Gauge Standard (AWG). CCA wires are not corrosion resistant and are only suitable for low current applications. 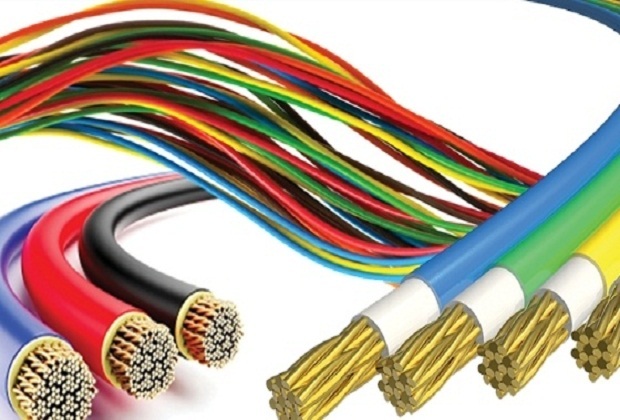 The inexpensive cables are ideal for low current applications, such as 12v DC Automotive, car radio speakers, home theater kits and LED light wiring from 6 to 80 volts. These cables are made in China. They are only suitable for low voltage DC wiring and not for 220 V ac household wiring. The cables are perfect for hobbyists or anyone who works on cars regularly. The cables are perfect for working on projects where they won’t be subject to weather exposure or high current usage. The multiple colors are excellent for keeping things neat and identifiable. The top quality Southwire 12 gauge solid copper cable is Encased in the patented SIMpull Cable Jacket for easier pulling, stripping, and installation. It is quite possibly the best quality electrical cable on the market today. This cable has four conductors (white, black, red and bare ground) and is in a 100′ coil. This cable is best suited to residential wiring as branch circuits for outlets, switches, and other loads. This is a very high-quality electrical cable, made in America. It is suitable for general wiring of homes, stores, and shops. This Southwire cable can be used for both exposed and concealed work in normally dry locations at temperatures which will not go over 90°C The cable can be installed in air voids of masonry block or tile walls, so long as they are not damp. The Voltage rating for the cable is 600 volts. The Romex Simpull 12 Awg Non-metallic wire is used primarily in residential wiring as branch circuit for switches, outlets and other loads. The cable can be passed through vents, air voids between masonry blocks or between the blocks for as long as those areas installed are free of moisture or water. The cable is voltage rated 600 volts an indication of outstanding quality from the Southwire Company. The copper stranded wires are also annealed with soft copper and case with the unique Southwire SIMpull made for easier installation. The wire comes with lengths of 250 ft long cable and a robust PVC jacket made of polyvinyl chloride and an amperes rating of 20 amps. The non-metallic round wire has a gauge of 12 AWG and has 3 conductors including a yellow ground wire. The Southwire underground direct cable is specifically made for outdoor wiring requirements including landscape and underground cabling. It is UV ray sunlight resistant and is housed by a study black insulation jacket to prevent wear and tear. The cable is also designed in a duplex flax construction that to promote easy lying down and prevent tearing of the wires during installation. There are also white and brown color options for cables which are to be exposed to the sun other than being buried. This cable is also ideal for indoor installation in places where there is slight exposure to sunlight. The voltage option for the cabling is for light electricity requirements not exceeding 150 volts and features options for both aluminum and copper materials for a wide range of applications depending on your requirements. The cable is UL listed, RoHS compliant and is green spec approved for environmental safety. It can stand temperatures of -40 degrees to 140 degrees and work optimally. It is ideal for path lighting, garden lighting, and low voltage outdoor lighting. The 14 GA wire comes in 6 rolls in 100 ft spool that comes in convenient packages and a range of colors. The combo set may come in a set of 4, 6 and 10 color rolls. It is insulated with light and flexible PVC coating which are clad with copper and aluminum material. The wire is ideal for simple electric installations such as car stereo connections, trailer lights, LED strip lighting and other automotive wiring needs. Now before you make the decision on which cable to buy, there are a few things to consider regarding quality and quantity. You have to ask yourself some questions and consider exactly what you want to use your cable for. How Many cables do we need? Before you decide to buy a cable, you need to decide on the length of the spool that you need to complete your job. The cables we rated all came in spools of 50′ or 100′. Most domestic jobs can be completed with 50′, but for some jobs, you will be better with the larger length. Do You Need to do cabling work outside? If you are using your cable for outdoor projects, you will probably need to invest in a conduit. None of the cables we tested were suitable for use outside unless they were contained in a conduit In our opinion it is still beneficial to use the better grade of cable when installing within a conduit outdoors. What current do you need your cable to be able to cope with? The lower grade cables that we tested were only suitable for low current jobs. In general, for domestic jobs on the 220v ac circuit, you will need to invest in better quality cables. So if you are installing an air conditioning unit, it will pay dividends to use high-quality cable. Do you need cabling in different colors? Some cables come in multipacks of different colors, which can be a real benefit on some projects, such as on automobiles, where you can match the cable colors to the original manufacturer cable work. Is your cable suitable for installing in a wall cavity? This is an important consideration for many domestic jobs. You should also check that your cable is suitable to deal with the temperatures that may be reached. When installing cabling in a wall cavity, you want to do the job properly, using the best cable available so that you do not need to do it again. Of this collection of cables, which one did we think was the highest performing and the best bang for your buck? We felt that undoubtedly, the best quality electrical cable on the market was the Southwire residential indoor electrical wire type NM-B. Whilst this was also the most expensive cable we tested, it was superb quality. Whenever you are carrying out a cabling job, you only want to do it once, and the quality of the cable allows you to be sure that this is possible. This was a versatile piece of kit, suitable for rewiring your home safely. The high-quality copper wire contained within the sheath means that you can be completely confident that your cabling work will stand the test of time. The 12 gauge solid copper wire is contained within the high-quality sheath, it has a plentiful 100′ coil of cable, and a rating of 600 volts. This cable was our clear winner and we highly recommend it. From my experience of years of riding cars, I can easily say that brake is a big deal whenever you look for upgrading your ride. I mean it. Without replacing the brakes with an upgraded one, you can’t say that you have upgraded your car. Sometimes, you’ll have to change the brake just because you have used it for a long time. Are you looking for a ceramic coating for your car? If yes, look no further. We have you sorted out. A ceramic coating is essential for anyone who loves their car. First, the ceramic coating protects the exterior surface of your car from scratches, bird droppings and the ultraviolet light which causes fading. If you want to maintain a flawless exterior of your car surface, ceramic car coating is the best way to go. 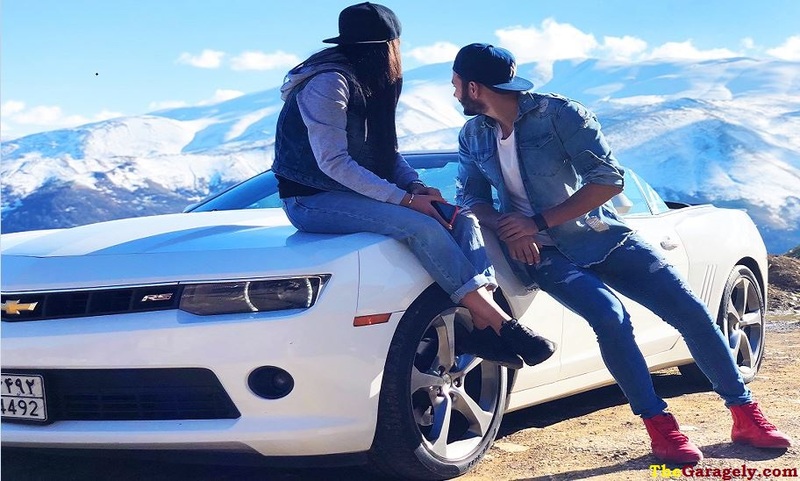 5 Best Brake Rotors 2019 [Updated] – Reviews & Buying Guide by Auto Expert! COPYRIGHT © 2019 · THEGARAGELY.COM, ALL RIGHTS RESERVED.